Our team is like the vast majority of swim teams in the world. We have no real access to long course training pools, and so we train short course all the time. This makes the transition to the long course season difficult, and it makes the first long course meet of the year very, very interesting. There are a two uncomfortable aspects of the first Long Course [LC] meet. 1) Entry times are very difficult to beat. So for the first LC meet of the year, we’re taking our fully tapered SC times from last month, adding 2%, and then publishing these times on the heat sheet. Most younger kids, some older ones, and virtually all parents do not understand that these entry times are unrealistic. To them, these times form a binary Good Swim/Bad Swim threshold. It’s a system that is designed to frustrate kids. Let’s take an example from one of our younger female swimmers at our first LC meet on the weekend. Notice that there is a 4 second difference between the two conversion systems. Our young swimmer did an excellent 2:51.49 on the weekend for her 200m LC Back, but was disappointed as it didn’t beat the time published on the heat sheet. Even an explanation didn’t help. And yet in reality, she had a great swim. 2) It’s almost impossible to prepare a swimmer for a LC race based on SC training. Sure, we try all the tricks. We overdistance our sprints, so our quality sprints were 62.5 or 75 instead of 50. We do lengthy swims using NoTouchTurns at one or both ends (flip right before the wall and start swimming immediately). And we change some of our dryland exercises to mimic the longer distances between turns. But the unfortunate reality is that no matter how much preparation we do for LC, the bodies are just not ready for those first few races. All the best intentions, preparations and mindsets are thwarted when those arms have to provide propulsion roughly 2.5 times longer until they reach the brief resting period that a turn represents. Fortunately, these problems disappear after the first meet, and even after the first few events for some. But it’s shock to the system at first. So what are these first LC swims like? Well, I can tell you as a coach that there are certainly moments of humour. 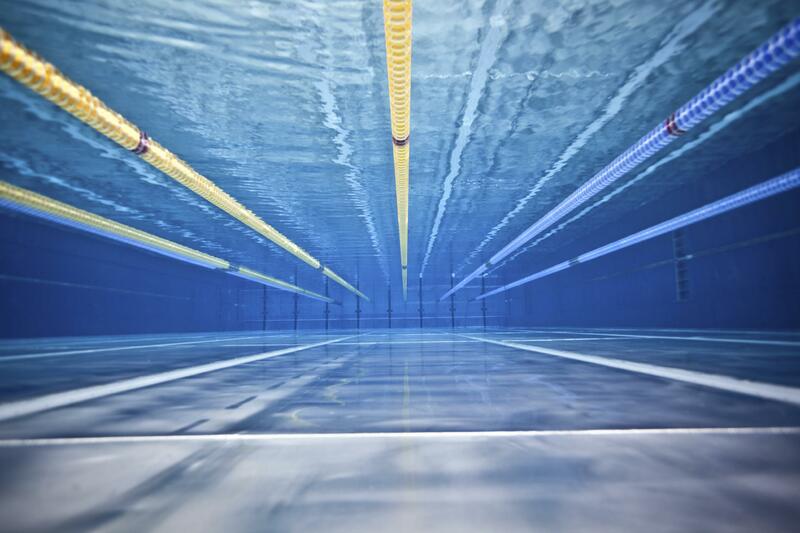 Some of the funniest ones are when a young swimmer swims LC backstroke for the first time. Not being able to see the end, you can start to sense their confusion about 3/4 of the way down this never ending pool. Inevitably they’ll sneak a peak over their shoulder, and then do a double take. Still that far to go??? We also get a chance to see immediate karma for those swimmers who like to throw strategy out the window and start off really hard. LC is pretty unforgiving with that style of swimming, and especially so early in the season. Unfortunately, LC is very hard on young butterflyers. Even the best of techniques can start to falter when faced with so many strokes until the wall. The same goes for those swimmers who use turns and underwater to hide serious stroke flaws. Or those who just don’t train as hard as others. LC unmasks all of that. To me, LC swimming is real swimming. I tell all of my swimmers that you know you’re a serious swimmer when you prefer LC over SC. Now, if we can only get more LC pools built around here, we might eventually be able to start training in one. Spot on same in the UK where our biggest National competitions (Jul) now have fixed qualification window (Mar- May) and only LC times allowed. 1st year we have done it and a learning curve for all. On the backstroke navigation issue stroke count if stable is a great way of keeping focus but of course with the younger developing swimmer not so accurate especially in the 200.